See the final part of Designing Worlds special discussion of Linden Lab’s new platform – on the web! 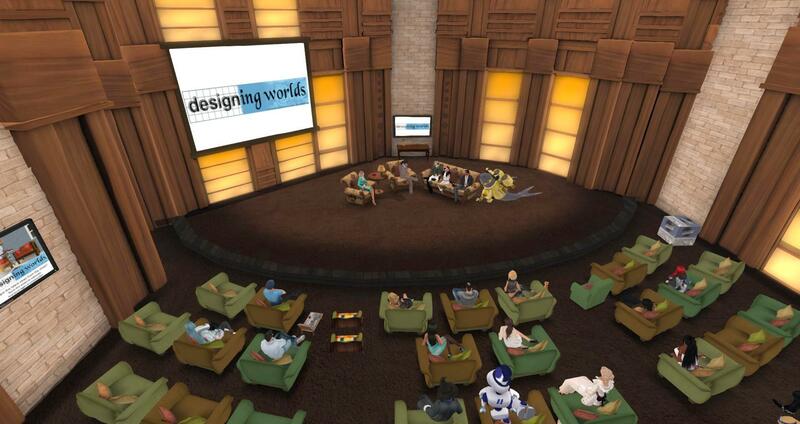 The latest episode of Designing Worlds – where we have the second and final part of a discussion of Second Life’s continued viability and the ways in which Linden Lab might attract existing communities to their new platform – is now on the web. Our great panel of guests is present again – including Jessica Lyon, Project Manager of Firestorm, Jo Yardley, owner of 1920s Berlin, Maxwell Graf, owner of Rustica. JJ Drinkwater, Virtual and real life Librarian and Pathfinder Lester, Community Engagement specialist (and the ex-Pathfinder Linden).